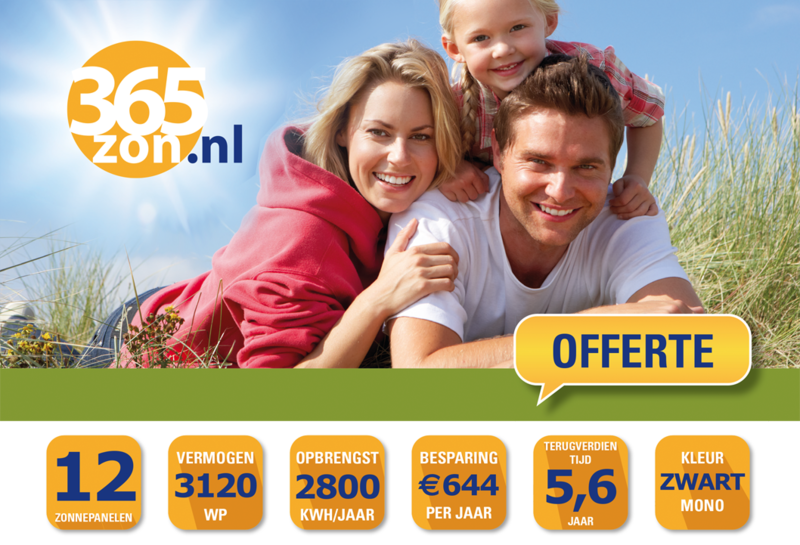 For 365zon.nl we created a whole new way of sending custom proposals! Depending on location, size and a whole number of other options, customers would receive a custom price proposal in the form of a multiple page PDF! This PDF contains not only a price and description but goes as far as to show what the end customer would eventually save when he buys solar panels. 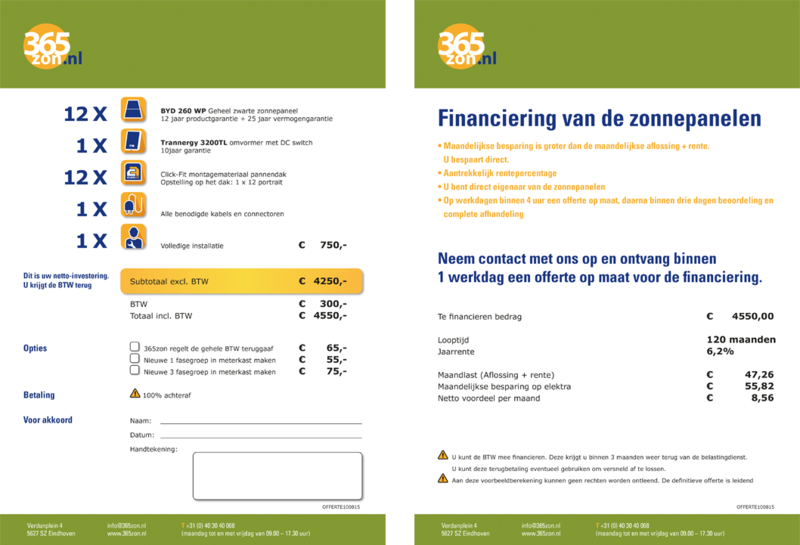 365zon now has a powerful tool to show their customers all the advantages in a custom-made PDF, before they would need to 'buy now'.  An excellent addition that works seamlessly with their Magento platform. Customers of 365zon are just a few mouse clicks away from a custom PDF proposal, containing all the information about their solar panels. Moreover, ordering the quoted products is still as simple as one click! “In our search for a sound system to handle our quotations we ended up with Cart2Quote. A great comprehensive and clear extension. Because the standard module missed some features that were on our (extended) wishlist we approached Cart2Quote to make some customizations. The main adjustment that Cart2Quote created was the integration of the graphic design details of our layout in the software. The result is very nice. I honestly did not expect all the graphic details could be effectively applied in the quotations. In addition, our new PDF proposals now include many automated calculations such as the payback period of solar panels, the annual savings and a proposal for funding. 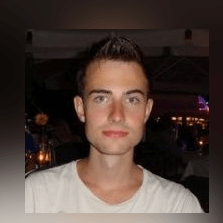 In our collaboration with Cart2quote, I experienced that the communication with Remco and Dan was very pleasant. Quick and easy contact and, very important to me, deadline is deadline.